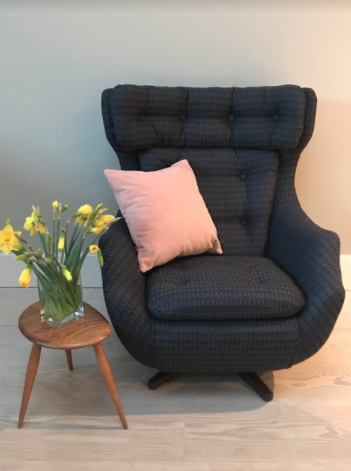 Emily Boo Upholstery & Design produce one-off bespoke pieces and commissions using traditional upholstery methods and materials. Aiming to recycle and reuse as much of the original piece as possible, taking it forward for the next decade whilst still celebrating its heritage. This can be anything from a piano stool to a 3-seater sofa. 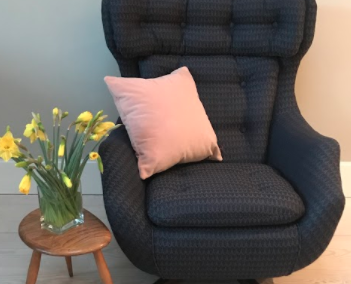 Emily learnt the wonderful craft of upholstery at The Cass part of London Metropolitan University under the watchful eye and huge skill of a fourth generation upholsterer. After 6 years of part-time study, she was awarded a distinction for her AMUSF diploma. 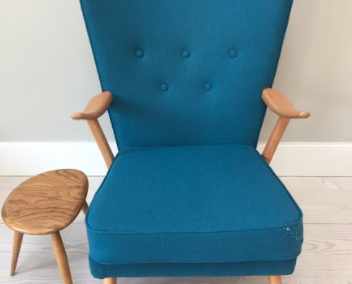 Her chairs can be described as ‘traditionally modern’ reinventing beautifully made vintage frames into a chair that fits in today’s modern world. 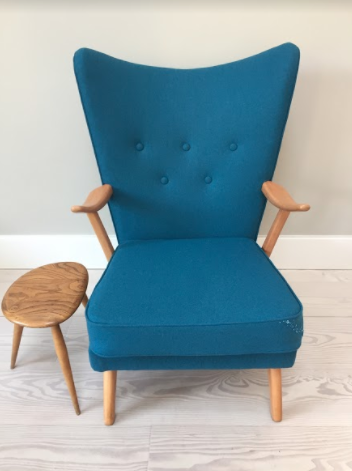 With over 10 million tonnes of furniture heading to landfill in this country each year, she strongly believes that it is more important than ever to avoid adding to this by reconditioning the many beautiful chairs that already exist. She has a workshop at the Phoenix in Brighton where she has also held her first exhibition, Beneath the Surface, looking at the aesthetic nature of the craft and the processes which go into building a chair from the frame up.